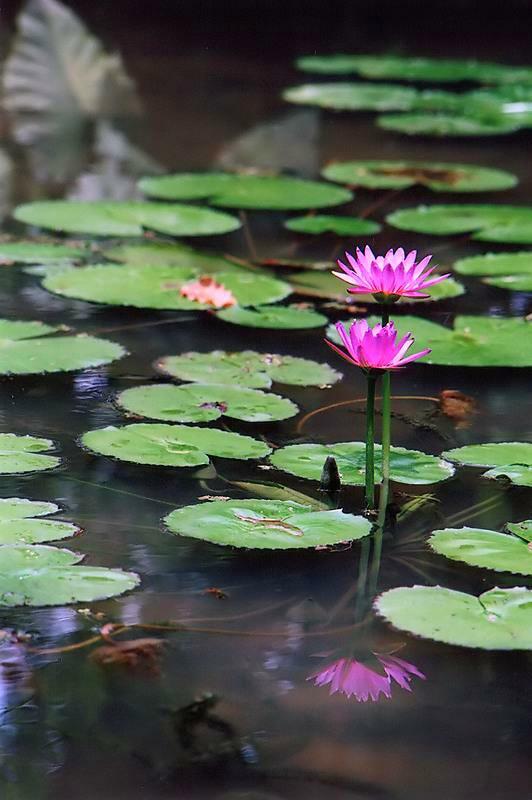 Two water lilies that were proudly standing in the middle of a pond, in the Botanical Garden of Rio de Janeiro. Нравится работа с глубиной резкости. awesome reflections and pleasing to the eye. Excellent light and beautiful colour. Two flower, as two loving each other's rights, proudly go on living. Excellent work!